When Dr. Phil's viewers need help turning their job search woes into employment success, he calls in Tony Beshara. One of the most successful placement professionals in the United States, Beshara knows what works and what doesn't. In The Job Search Solution, he outlines the simple yet powerful system that has helped over 100,000 people land jobs they love. 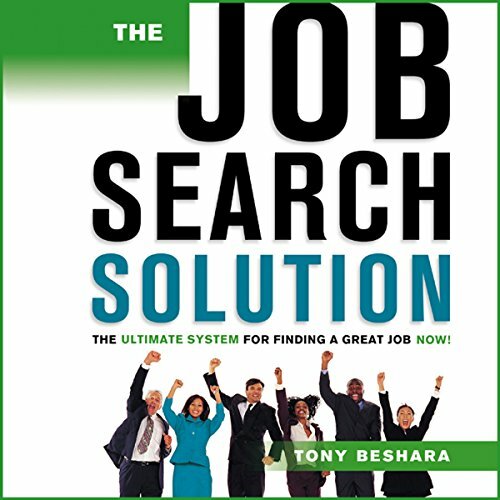 Now, in a completely updated second edition, Beshara addresses the major challenges that confront candidates seeking employment today, including advice for readers who have been out of work for a while, were fired from their last job, are looking to change careers, or may be facing discrimination due to age. Featuring interactive exercises, real-life examples, practical Do's and Don'ts, and other essential tools, the new edition reveals how candidates can create a personal "brand" online, communicate with potential employers via e-mail, and leverage personal stories throughout the interview process. Both practical and empowering, The Job Search Solution gives readers the tools they need to get hired in one of the toughest job markets ever.